On Sunday June-5-2016, Kenya’s Harambee Stars registered their first win of the 2017 Africa Nations cup when they beat Congo 2-1. 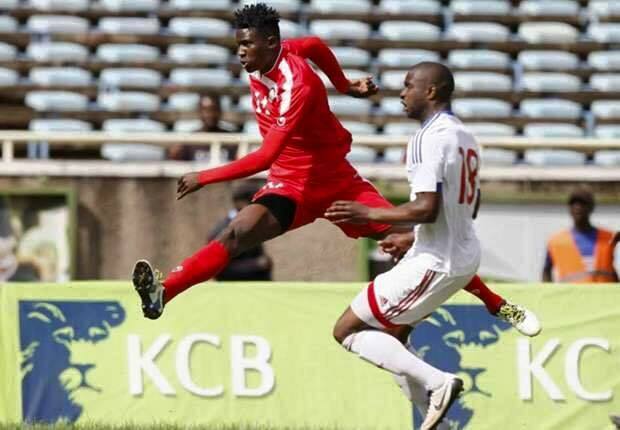 But Harambee Stars were not just victorious, they played much better than they have played of late, and were the better side against a side that is ranked more than 60 places above them in the FIFA ranking. Prior to the match, Harambee Stars played two build up matches against Tanzania and Sudan. Though Kenya’s performance was unimpressive. coach Stan Okumbi was not worried. He stated that the friendlies gave him an opportunity to gauge the current form of the players and determine which player combinations work. Indeed the importance of friendlies matches for national teams cannot be gainsaid. These players never get opportunities to play together as clubs do. They only assemble about a week prior to the match. This makes it difficult for a coach to gauge player’s form, work on combinations or build cohesion. Players need to play several matches together so that they can gain an understanding, gain a measure of cohesion and anticipate each others moves. In recent years, Kenya has not played any quality friendlies ahead of key matches. Such was the case against Cape Verde, Zambia and Guinea Bissau all of whom Kenya lost to. And during the nightmare Nyamweya era, Kenya never played any quality friendlies. The only time they played any friendly at all was when there was an opportunity for Nyamweya to make money via agent fees that are paid by agents who organize high profile friendlies. Indeed in 2014, both Victor Wanyama and Dennis Oliech were vocal in asking for friendlies, both saying it would have been better for the government to help organize friendlies instead of sending the team on holiday to watch the world cup. So Kenya went to Brazil instead of staying at home to prepare. The net result was that they were eliminated by Lesotho from the 2015 Africa Nations cup qualifiers. This entry was posted in Kenya Football News and Commentary and tagged harambee stars. Bookmark the permalink.